You can perceive that green is the verdant colour of nature and its environment. The trees have green leaves, the grasses are green and the land is green. Green is just everywhere. You cannot run away from it. 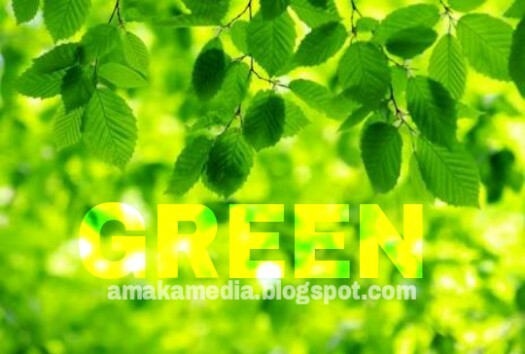 One interesting thing about green is that, it brings freshness and healing. The colour represents fullness, goodness and fatness. Green is synonymous with God's goodness and grace. "He makes me lie down in GREEN pastures. . . "
Even when the environment isn't pleasant, God makes His own lie down in green pastures. No other colour would have made that verse more profound. Green is divine. Green brings about flourishing and fruitfulness. It is like heaven! Oh Lord, I pray for a life as green. See, when the economy is said to be declining, and you are creating more wealth. That's having a life as green. When you find peace in the midst of life's drama, that's having a life as green. Sweetheart, may God make your life evergreen for you to remain fruitful, peaceful and filled with God's goodness and grace in Jesus' name. Amen. In order to go practical. Guess what I did? 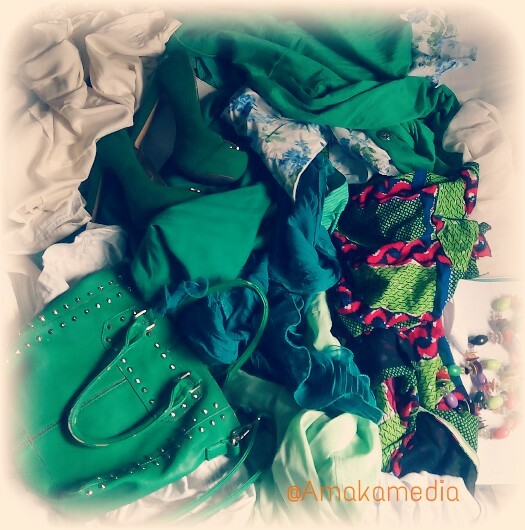 I dug into my wardrobe and fished out all the green pieces of clothing there. I want to be greeny all through the month of October. Especially on Sundays, so I can post WIW - What I Wore. Can't wait! This is for the love of my beloved country. . . . Nigeria. I pledge to be faithful, loyal and honest. To serve to the best of my abilities. And to uphold her honour and glory. #ProudlyNigerian. My beloved country, may you flourish and stay evergreen.